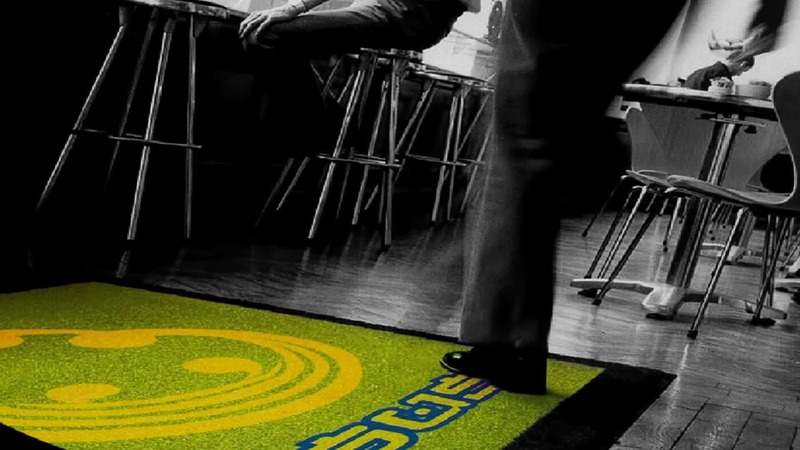 Logo mats are a perfect way to promote a welcoming environment to any establishment. 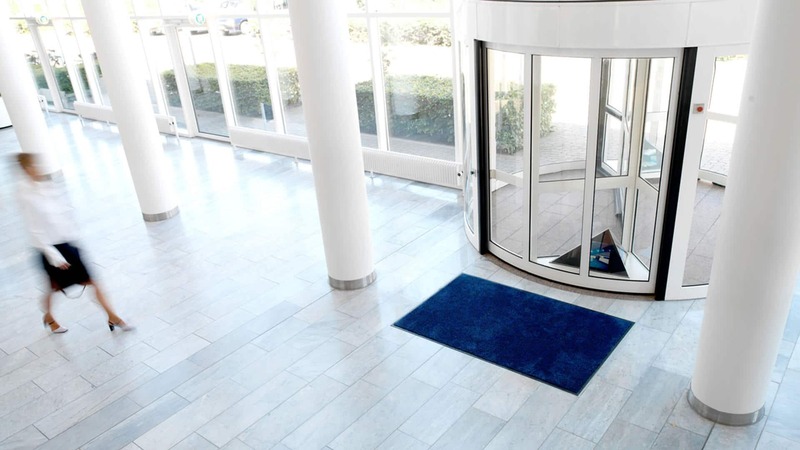 With the ability to add your corporate identity or any other picture or text you require, logo mats make an attractive greeting to your premises. 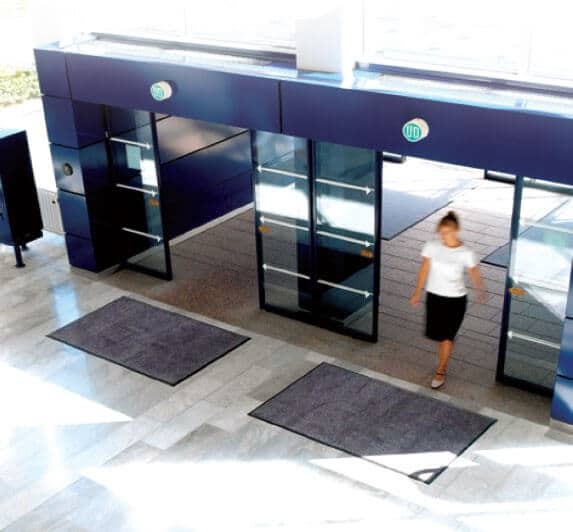 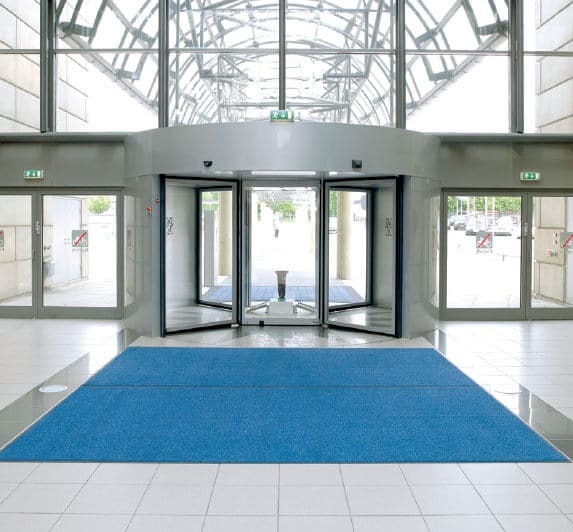 Premier mats are a perfect way to promote a welcoming environment to any establishment. 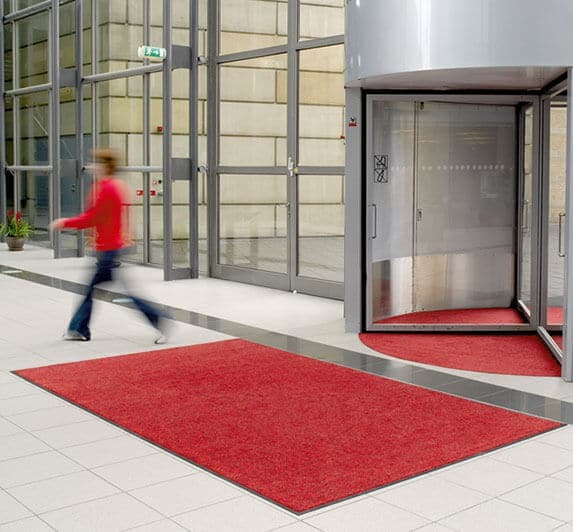 Available in four colours: Mink, Blue, Steel or Scarlet. 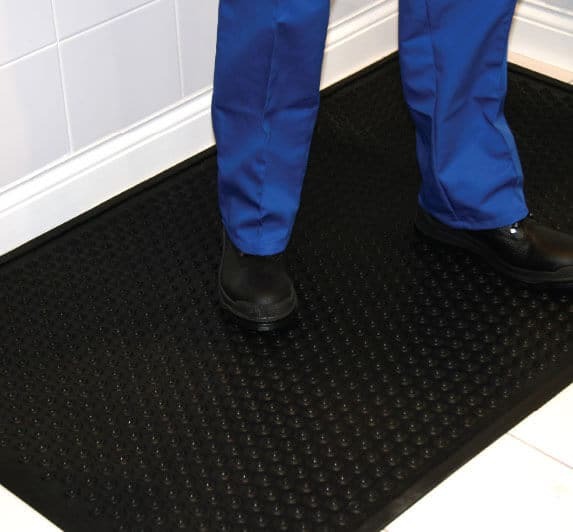 80% of the people that work in a standing upright position suffer from problems with their legs and/or back, an anti-fatigue mat is the best and the simplest way to reduce or even avoid these problems. 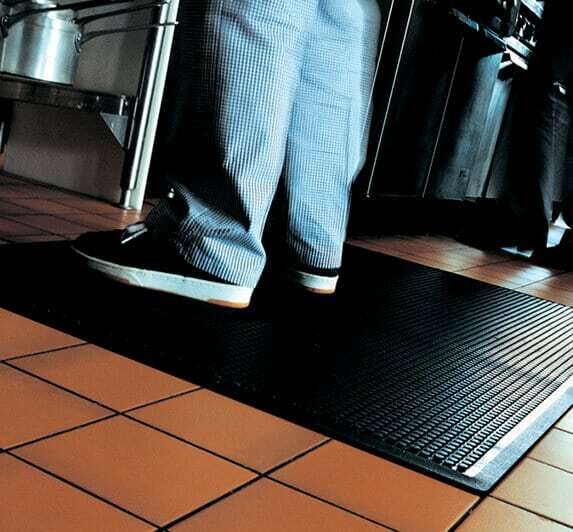 Anti-fatigue mats are designed to reduce fatigue that is caused by standing for long periods on hard surfaces (e.g. 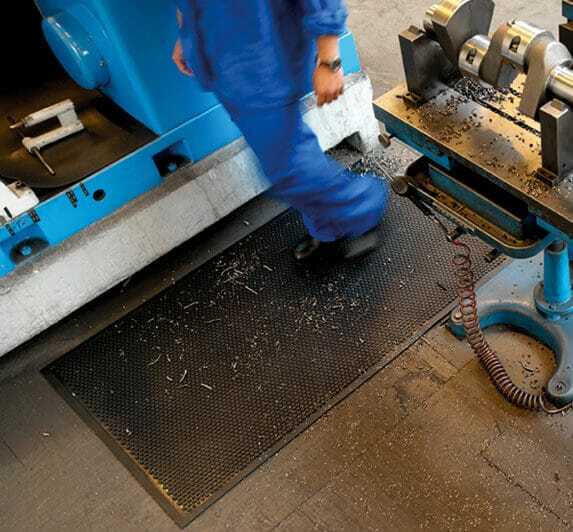 concrete floors). 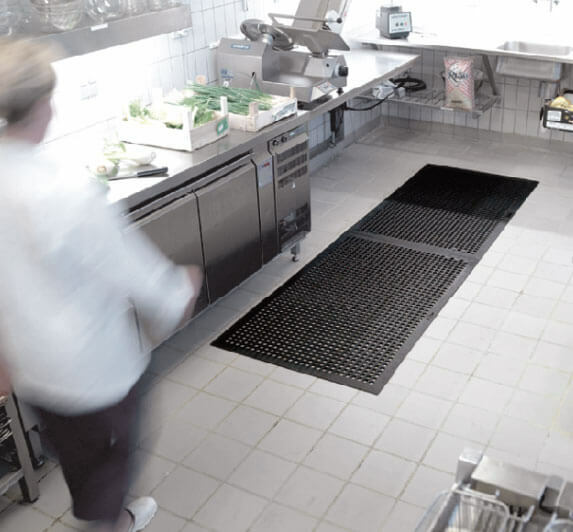 The Wet area and Kitchen mat systems are the first commercially launderable kitchen mats featuring both anti-fatigue and anti-microbial properties. 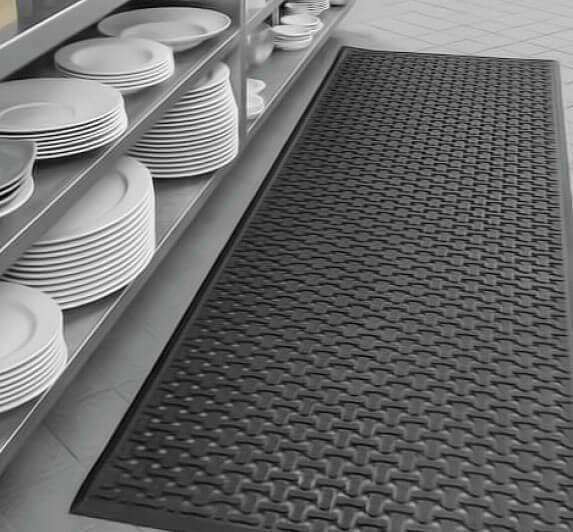 The resilient nitrile rubber construction reduces fatigue of long-standing jobs. 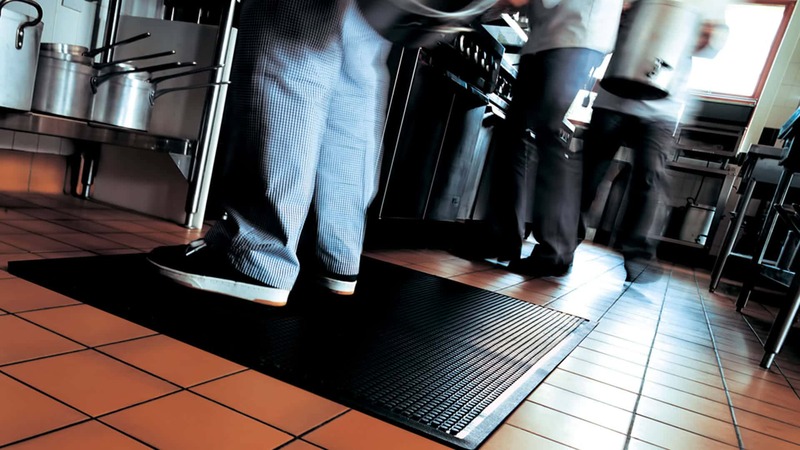 Whilst the anti-slip mat is water, oil, grease and solvent resistant, with specially placed holes allowing drainage, ideal for kitchens and bars.